It shows how regional currencies can transform the lives and well-being of local communities, how they can sustain businesses, how local authorities can participate in their success and, consequently, why supporting regional currencies is of vital importance to the future of your community, region or country. 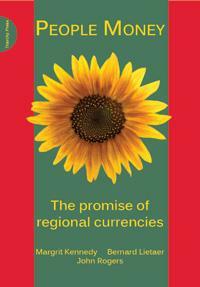 It is also a comprehensive guide to the development process and implementation of a regional currency. The characteristics and purpose of the various models of commercial- and community-oriented currencies are then explained, with examples from rich and poor, urban and rural communities. Different types of currency – voucher systems, circulating currencies, exchange rings and micro-credit banks – are looked at in detail. Drawing on the experiences of organisers of regional currencies, the authors describe the administration and governance of the currencies, how to cooperate with other financial institutions, clearing systems and the issue of taxation. Part 2, Regional Currencies in Practice, focuses on the ‘how to’ of developing a regional currency and the benefits that have accrued as a result of their implementation. Training needs assessment and plan to recruit ‘multipliers’ who will publicise and explain the concept throughout the region. Finally, the book profiles of some of the leading organisers of regional currencies around the world, explaining their driving passion and the nuances of each of the models – how the currency started, how it developed, the difficulties encountered on the journey, and how these were overcome.